Finish: Easy care, wrinkle resistant. Closure: Seven tortoise shell buttons with vertical buttonholes. 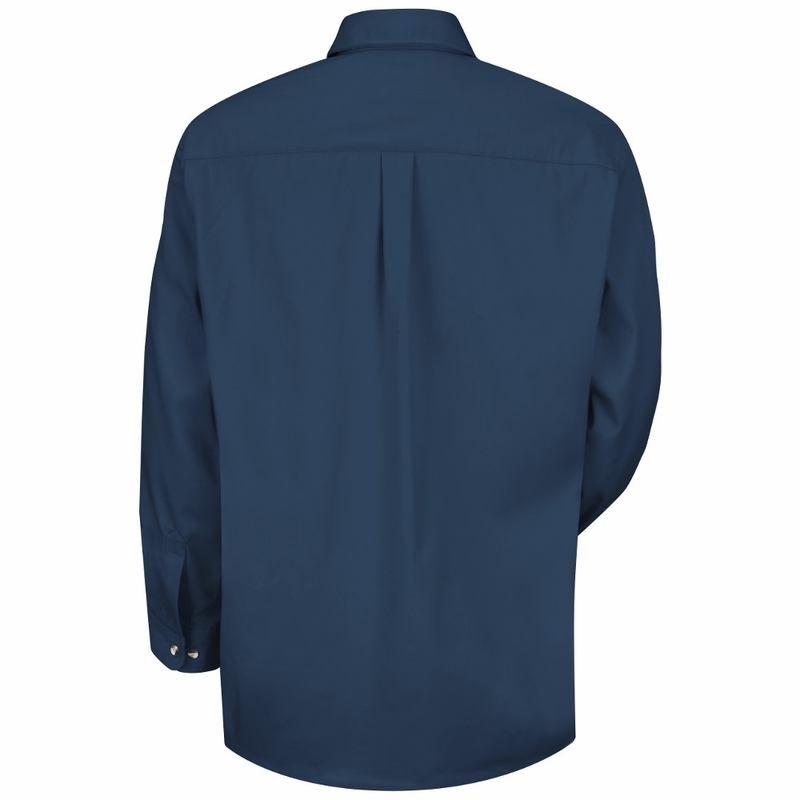 Collar: Two-piece, lined, banded, topstitched, button-down with contrasting inside collar band. 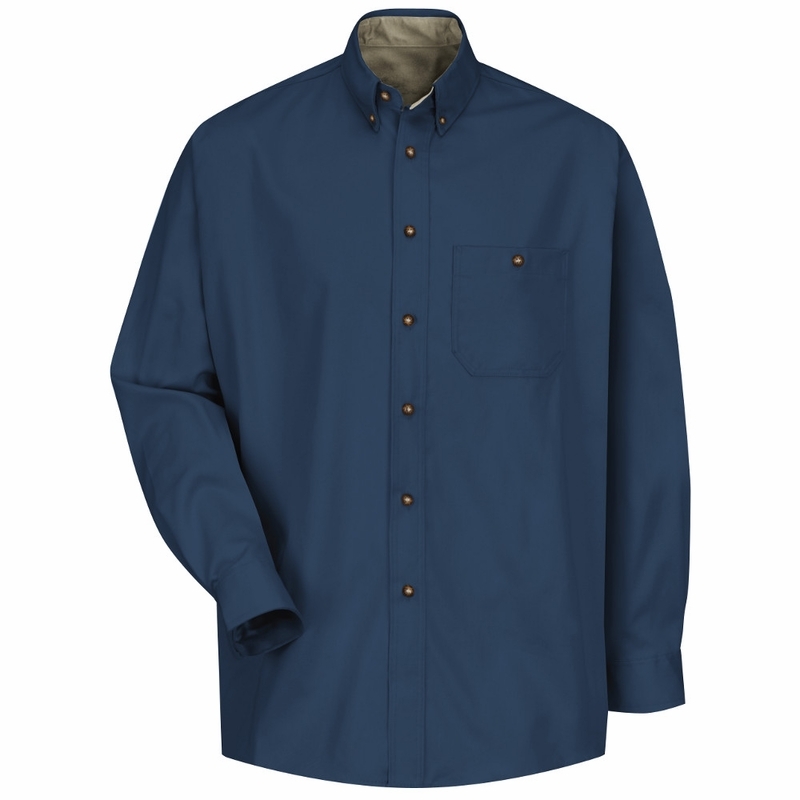 Pocket: One button-thru hex style with double needle topstitching. 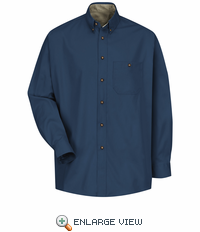 Facing: Lined center pleat placket with double needle stitching. With contrasting inside yoke and collar band.